Sam Shropshire winds up for a forehand. The senior, who earned Big Ten Athlete of the Week honors Tuesday, and the Wildcats are set for a trio of matches this weekend. Northwestern is already off to one of the best starts in program history. But one more undefeated homestand would guarantee the Wildcats a spot in the record books. No. 9 NU (6-0) will welcome a trio of opponents this weekend as it looks to tie the program record for most consecutive wins — nine — to begin a season. Boise State (1-4), Harvard (4-2) and Duke (3-1) will all try to thwart the Cats’ run at school history and knock them from the top 10 in the process. Though none of the weekend foes have a resume as glittering as NU’s, the Cats aren’t taking any matches for granted. NU has been successful so far this season thanks to solid play throughout its roster and improvement in each match, coach Arvid Swan said. That improvement has showed in both wins and in the national rankings, where the Cats began the season at No. 13. Following a win over then-No. 7 TCU, NU surged into the top 10, where it has remained. The trio of weekend opponents pose a potential threat to the Cats’ ranking and their historic start. The three-day, three-match slate is a microcosm of NU’s challenging season schedule, which includes four top-25 teams. Swan said the packed weekend is no accident. The Cats will have plenty of opportunities this weekend while looking to continue their recent dominance over Boise State, Harvard and Duke. NU is 5-1 against the trio since the start of 2014-15 season. Senior Sam Shropshire said that although the Cats have had strong showings recently, they won’t change their preparation because of it. 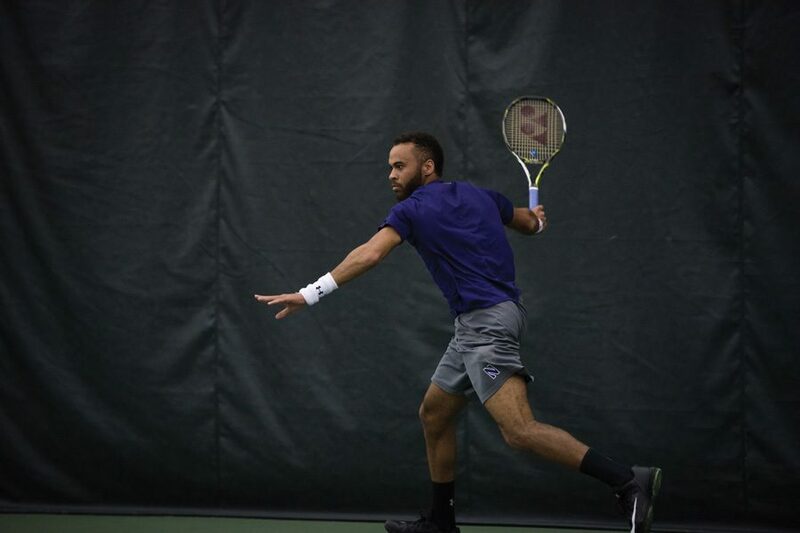 Shropshire received the Big Ten Conference Athlete of Week recognition Tuesday, the second consecutive week a member of the team has received the acknowledgement after fellow senior Konrad Zieba earned it last week. Between Shropshire’s recognition and the Cats’ hot streak, the team seems poised to have a noteworthy week. Kirchheimer said NU’s gameplan is simple despite the seemingly unique circumstances.